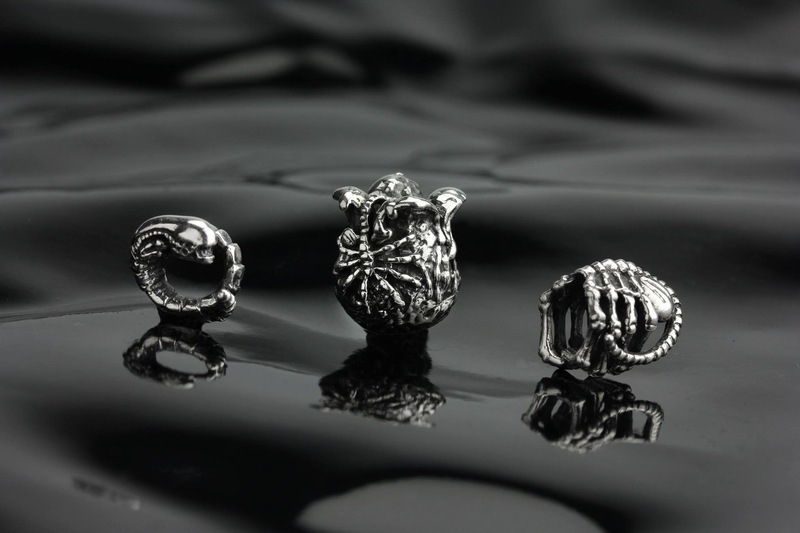 Ohm beads really loves to surprise with out of this world designs! 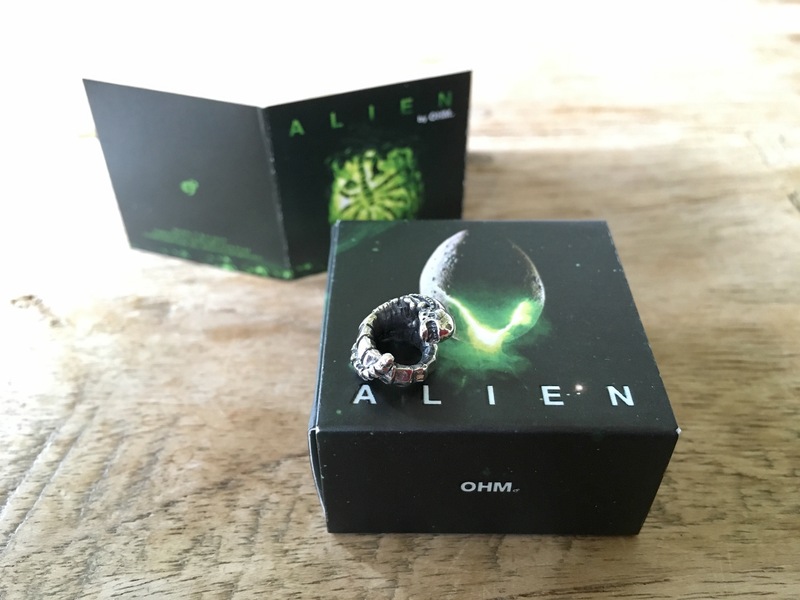 For the movie Alien Covenant which is released on May 18th Ohm beads made three beads: Chestburster, Egg and Facehugger. This movie franchise goes back to 1979 when the first movie was released. When I saw the first pictures of the beads I was immediately taken back to the evening I watched this first movie with my friend. Me hiding behind a pillow for half of the movie and my friend kept on saying: I wouldn’t look now, I definitely would not look now! As scary as I thought the movie was I believe these are the most awesome sci-fi aliens ever! I took a closer look at the beads (without a pillow!) and wanted to get at least one! I chose Chestburster! He is very lifelike, the detail is amazing. 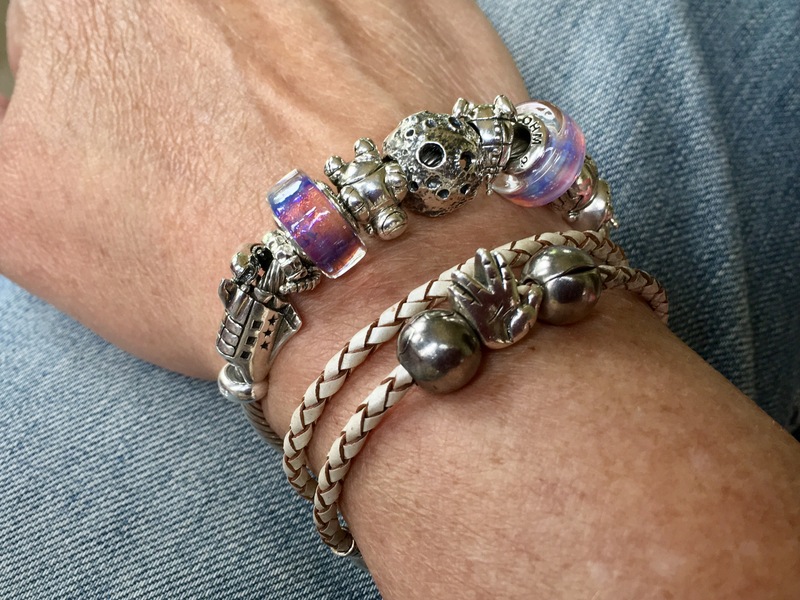 He wraps around the bracelet and sits nice and upright. 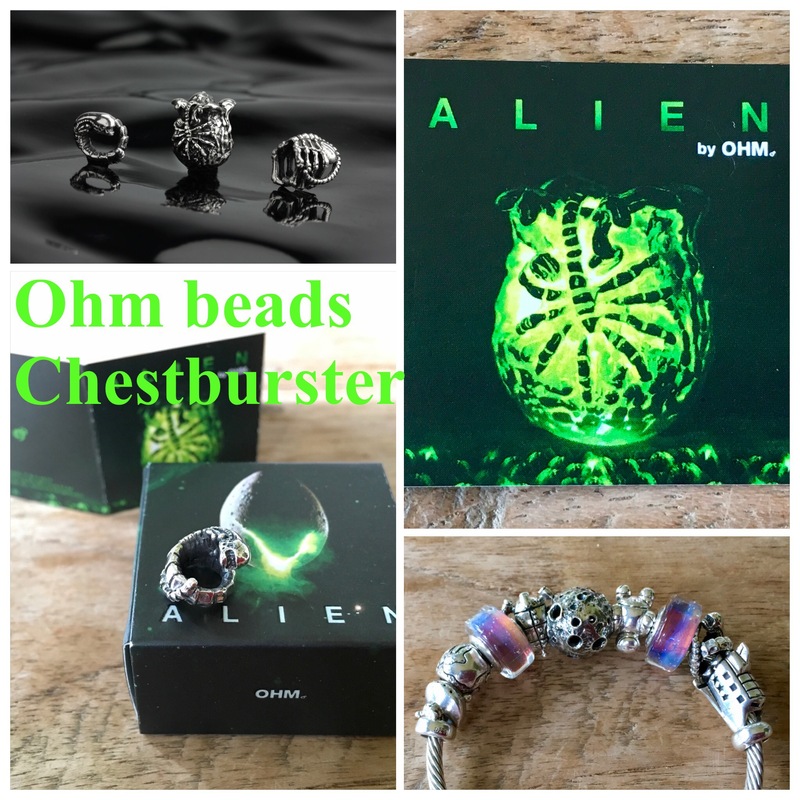 Ohm beads describes the bead as follows: The Chestburster is the immature infant form of the Xenomorph which emerges forcibly from the chest of its host, killing it. The chestburster is similar in form to the fully grown alien but far smaller and pale in color. 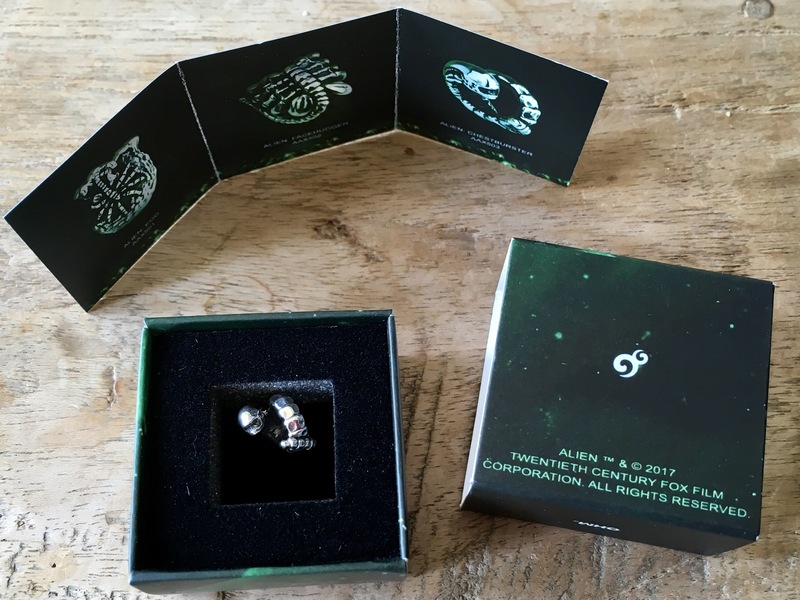 As always the box and booklet are as amazing too. This is the next addition to my Space bangle. 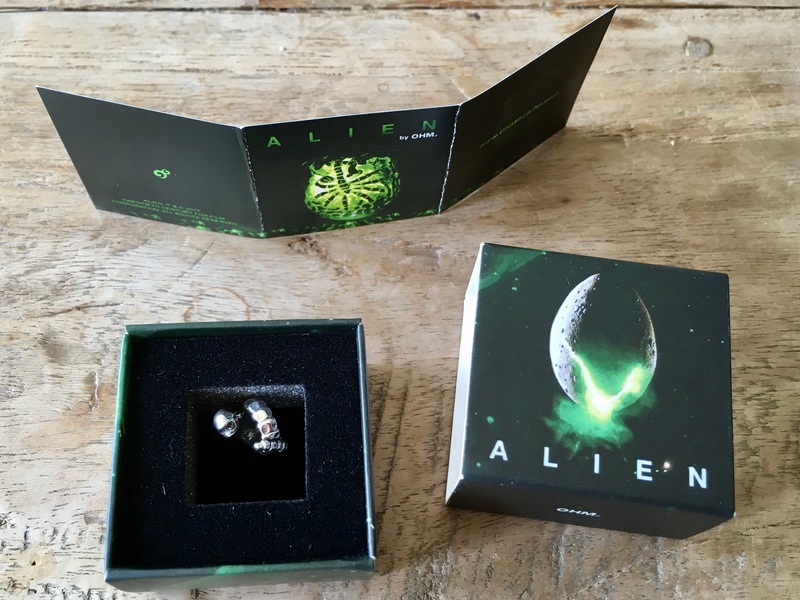 I had been wanting an alien for some time and this is the perfect one. Now he has a perfect spot and nicely contained in his own universe! 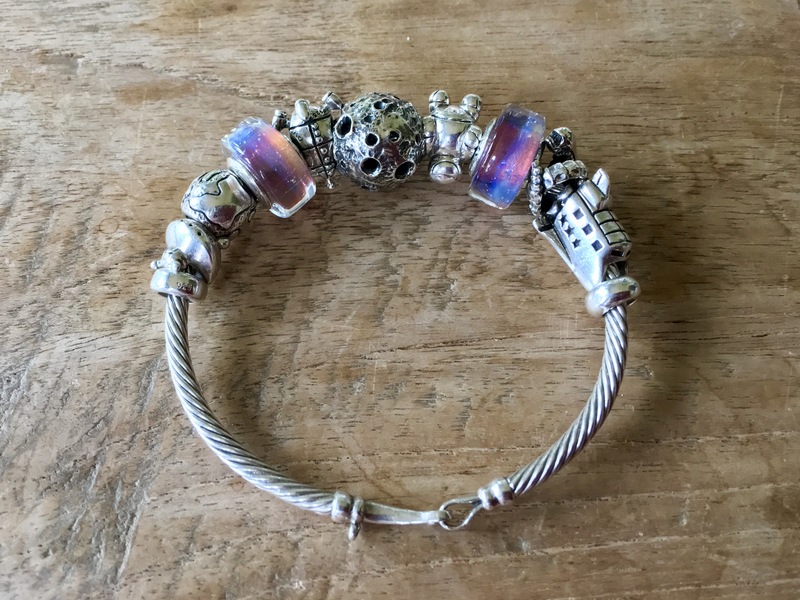 Perfect for your space bangle! Yes! I really love him now!